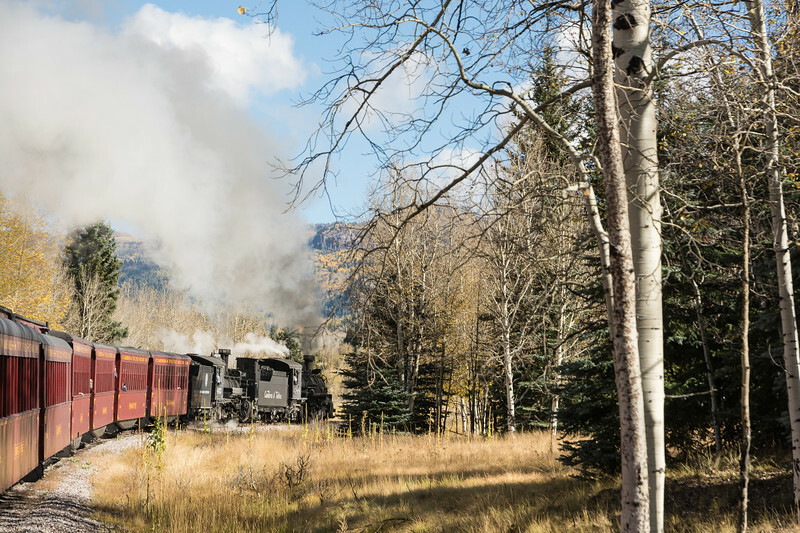 Sue and I have ridden the Durango & Silverton narrow gauge train several times, but this was our first trip on the Cumbers & Toltec, from Chama, NM to Antonito, CO. We chose the first week of October, which, we hoped, would have the peak fall aspen color. We were not disappointed, the colors were great, and the weather was near-perfect. The docent describing the railroad's history and the geology it travels through added to an enjoyable ride. The train rounds a curve as we follow the Rio Chama valley.